I’ll catch up on the events on the news and You Tube. I feel so many ‘sports’ have been created and added in recent years its becoming more of a ‘play doh’ affair. In saying that I’m not taking anything away from the athletes and the dedication which gets them to the Olympics. I think this sums it up nicely. I love the grace and strength which goes into the figure skating. I’ve loved it since I saw Torvill and Dean. 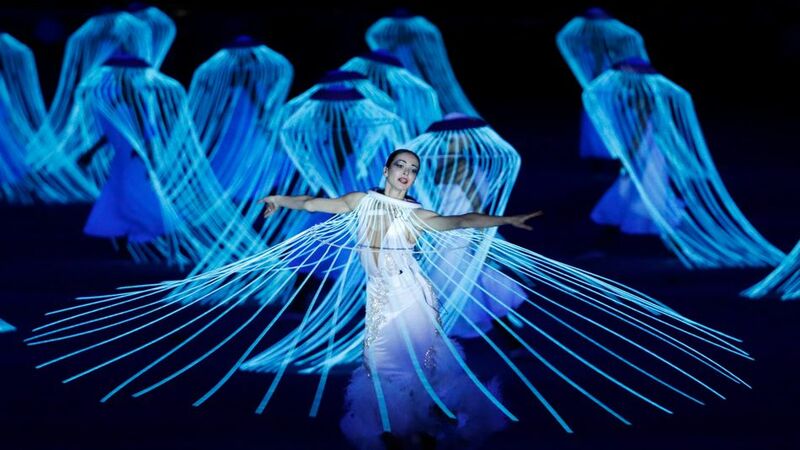 There is simply something ethereal as they perform those graceful moves around the rink. The dedication which is necessary to become an expert in any sport might perhaps spoil it for me. Saying that, I was dedicated to my sport until I could no longer do it, so Yes, if I was the right age and had the inherent skill I would love to pursue it to that level. No, although I went to see Torvill and Dean. Not quite the same thing. Yes, Torvill and Dean dancing to Bolero in the 1984 Olympics. (Figure Skating). They captured my imagination then and I love watching figure skating but I always think of them first since they really put the sport ‘on the map’ so to speak. image from http://www.huffingtonpost.com Nothing like a shiny outfit to make you feel good . My favourite exercise was aerobics and I was good at it. At least I stopped having accidents and could do a couple of classes a day without falling apart. I had always had two left feet. I could trip over a non existent crack in the floor, so when I began aerobics so long ago, and finally realised I was good at it, I really began to love the sport. There was always a wonderful feeling of ‘grace’ at being able to perform all the moves with ease. It felt good to help out the ‘ newbies’ too so they didn’t feel quite so left out of things. It takes about six weeks to get into the ‘groove’ and the muscles to stop hurting, but then there’s always the intensity to aim for. It’s easy to see I can’t do this any longer and still miss it. I never underestimate the feeling of being able to move with ease and comfort at any exercise. My goal these days is to master Qi Gong to a point where I feel that way. Not an Olympic sport but an Olympic effort for me to get there. I like ice skating too. It is so cool that you saw Torvill and Dean in person. They were fabulous. 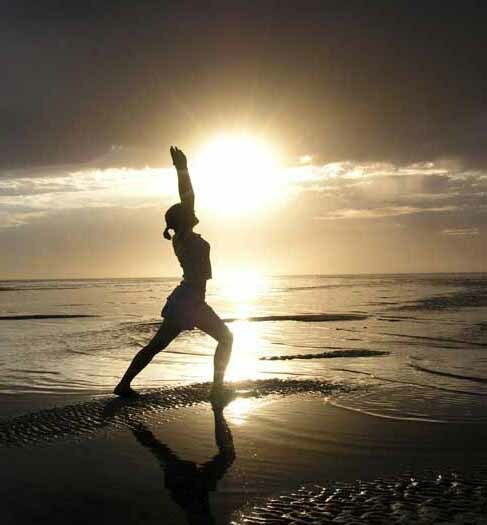 Qigong is an olympic effort, but ohhh so worth it…. Thanks for sharing. Qi Gong is very slow going. Working from DVD only and trying to push past the pain etc… Olympic is perseverance lol. I remember the days I headed to aerobics straight from work every afternoon, complete with big hair, bright colored leotard, and matching leg warmers. I had my Jane Fonda tapes for days I couldn’t make it. My knees and ankles hurt just thinking about it now! That picture of the 80’s ladies in aerobics class takes me right back to going to a Jazzercise class with my mom! You are so right! hey were so incredible I had a catch in my throat the whole time. I think I forgot to breath until they finished. I can only imagine the feeling as they fly around the rink working so closely together… pure magic. i usually love the winter olympics but i decided to boycot it this year as i am really angry at russia, it would take me far too long to list all my reasons but they homophobic laws, scotland wasn’t even allowed to take part in the opening ceremony because they view our national dress, the kilt, as being homosexual. the same for samoa! then there was the corruption. the taking captive 2 wild orcas to be displayed in a small dolphin tank near sochi to turn a quick profit from tourists.. and as i say more. i know in the scheme of things one person not tuning in doesn;t mean much but i’m being true to me… damn well miss it though!! i’m a petition warrior myself! anything to try and make a difference where you can eh!